Look Fantastic Beauty Box May 2019 Theme Spoiler! Look Fantastic Beauty Box April 2019 FULL SPOILERS! Look Fantastic Beauty Egg 2019 Collection Box – FULL SPOILERS! Look Fantastic Beauty Box March 2019 FULL SPOILERS! 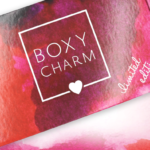 Look Fantastic Beauty Box March 2019 SPOILER! Look Fantastic Beauty Box January 2019 FULL SPOILERS! Look Fantastic Beauty Box December 2018 FULL SPOILERS! "I have a feeling Sephora is going to be stopping this subscription soon. I finally cancelled after getting const..."
"Dawn S you are incorrect. This particular post is just info but on others they have exclusive codes that they be..."